The purpose of this policy is to state the campus’ commitment to safety when conditions arise that constitutes an emergency and/or disaster. 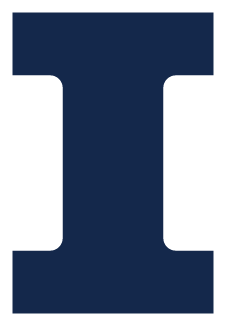 The University of Illinois at Urbana-Champaign is committed to a safe and nonviolent environment for all students, faculty, staff and visitors. If a condition arises that constitutes an emergency and/or disaster, the campus will utilize any/all resources available to mitigate the situation as efficiently and safely as possible. Campus Emergency Operations Plan (CEOP)The written plan of a higher education institution describing the organization, mission and functions of the higher education institution and supporting services for responding to and recovering from disasters/emergencies and for violence prevention. In service of its commitment to the welfare, health and safety of all those in its campus community, the campus has developed and maintains a comprehensive Campus Emergency Operations Plan (CEOP) (PDF). The CEOP “Basic Plan” can be found on the Division of Public Safety’s Website at police.illinois.edu. Additional functional annexes to the CEOP “Basic Plan” are maintained within the Division of Public Safety. Both the CEOP “Basic Plan” and the functional annexes are distributed annually to the Illinois Board of Higher Education, the Illinois Emergency Management Agency, and the Champaign County Emergency Management Agency.